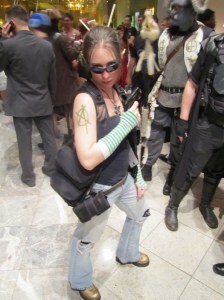 Jen had so much fun doing it, she decided to update the costume for DragonCon 2011! 1.Concept art. Since I had put this costume together already, the concept art was more what I wanted the costume to evolve into. Since I already had the majority of the pieces, no patterns or new fabric was required. Here are the arm things from 2010. 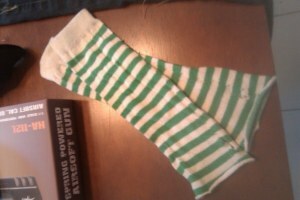 They were actually knee-high socks that I cut the toes out of. I found these arm warmers online. 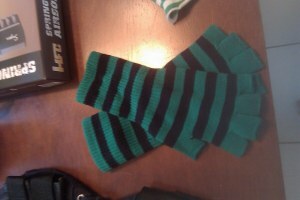 They’ve got the black and green stripes I was looking for. I still can’t decide which ones I prefer. To replace the jeans I wore last year, I bought these skinny jeans with holes in them from the local thrift store. I bought this tactical vest on Amazon. 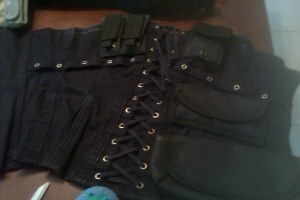 The plan is to use the pouches to attach to a bodice I already own to make my own “tactical corset”. 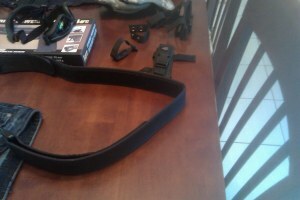 Weapon belt, also ordered from Amazon. 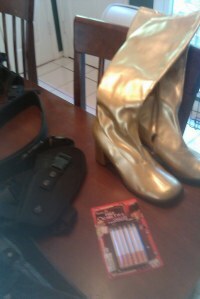 The biggest compliment I got in 2010 was on the gold boots. 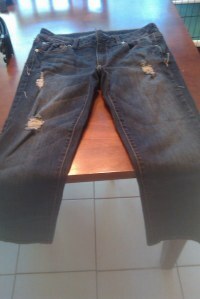 The ones worn in 2010 disintegrated, so I ordered a new pair. 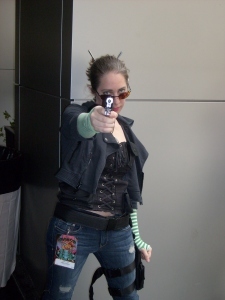 Also in the picture is a weapon holster. All things were ordered from Amazon. 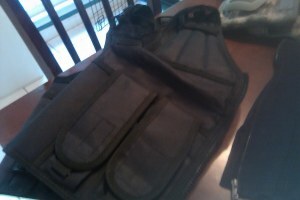 I took the pouches off the tactical vest and attached them to a bodice I already had. We used Airsoft guns, but I don’t have any pictures right now of them. Be nice to “the help”. They’re the ones who will be picking you up after the mission.